Youth Haven Executive Director Lucy Gowers dropped by Barrie City Hall yesterday with a special delivery – and challenge – for Mayor Jeff Lehman and the 10 City Councillors. 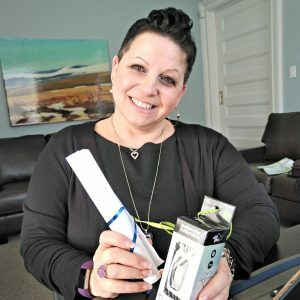 Lucy dropped off a Pedometer and Scroll for Barrie’s 11 municipal leaders, inviting them to participate in the 2018 Coldest Night of the Year. Help us build momentum! 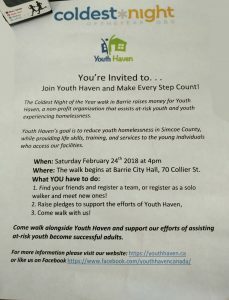 Let Mayor Jeff and Barrie City Council know that you want to them to walk on the Coldest Night of the Year!